Marian Kramer has been at the forefront of the struggle of the poor, and a leader in the fight to stop the privatization of water in Detroit, Michigan. She has been the front lines of the welfare rights and civil rights movement from its origin in the 1960s. Kramer serves as the Co-chair of the National Welfare Rights Union. Marian Kramer was married to General Baker. In 1968 and 1969, former Wayne State students such as General Baker, Marian Kramer, Ken Cockrel, Ken Hamblin, Luke Tripp, Charles Johnson, and others organized the Revolutionary Union Movement in Detroit’s auto plants, which culminated in the League of Revolutionary Black Workers. Some of the organizers who split from the League joined former SNCC leader James Forman and founded the Black Workers Congress. A conference, Malcolm X: Radical Tradition and a Legacy of Struggle was held in New York City, November 14 1990. In October 2, 1993, the Institute for Policy Studies celebrated its 30th anniversary by holding a conference "Progressive Thought in the Post WWII Era" featuring discussions about a wide range of public policy issues. The panelists discussed a progressive approach to public policy issues since World War II. A key part of the conference was a panel consisting of Garry Wills, Northwestern University history Professor; Eleanor Holmes Norton, member of the House of Representatives; Marian Kramer, President of the National Welfare Rights Union. It was moderated by IPS founder Richard Barnet. 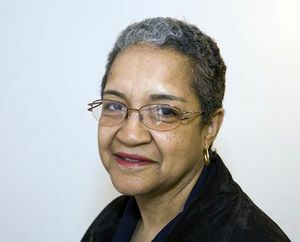 In March 1998 “Endorsers of the Call” to found a Black Radical Congress included Marian Kramer, National Welfare Rights Union. The Workers World Party instigated National Conference to Reclaim Our Cities was held Friday, November 11 2005, thru Sunday, November 13 in Detroit in the Wayne State University Student Center Ballroom. As at October 5, 2008, Kramer served as Co-chair on the board of the National Welfare Rights Union. Michigan Welfare Rights Organization, MWRO (Detroit, MI), Anchor organization - Marian Kramer, Maureen Taylor, Sylvia Orduno . Circa 2014 Marian Kramer was part of Speakers for a New America, the speakers bureau for League of Revolutionaries for a New America. Valerie Jean January 12 2019. With Tommy Tackett, Marian Kramer, Al Gladyck and Sandra Reid in Detroit, Michigan. This page was last modified on 22 January 2019, at 05:13.